There is no written history about the Tajpuria tribes. It is believed that in ancient time their ancestor came from Tejpur in North India. Because of this, their tribes are called Tajpuria. Long ago a man named Susarma ruled as king in Samaygadh (today, the Topgachhi, Jhapa district). The Tajpuria are his descendants. They live in Jhapa and Morang district in Eastern Nepal. 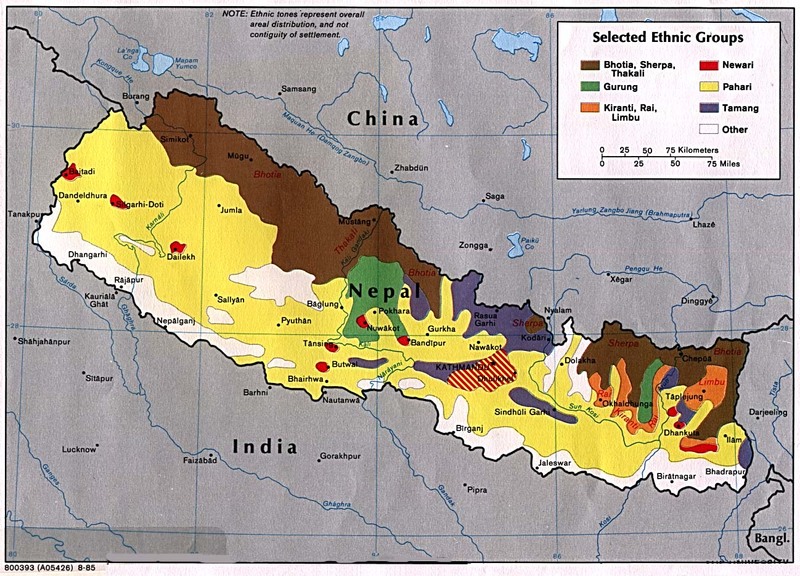 In Jhapa they are scattered in Chak chaki, Panchgachhi, Mahavara, Gauradah, Dharampur, Gauriganj, Jurupani, Korubari, Kohavara, Maharani and Lakhanpur. In Morang they are found in Sijua, Jhurkia, Mahadewa, Govindpur and Rangeli. They practice farming on borrowed land, they don't have their own land. They also love to fish. Only a small percentage is educated and only a handful have master's degrees. These tribes are very poor. Their houses are made of mud and bamboo. These are all built in close proximity as a community. They have their own language called Tajpuri which is closely related to Rajbansi and Gangai. They speak the Nepali language also. The bridegroom's family goes to the house of the bride's family to arrange the marriage. Once arranged, a representative from the bridegroom's family again goes to bride's house with clothes and ornaments as a testimony to the arranged marriage. At the wedding the bride wears a special dress made of cotton. It is a 16-foot long sari. The groom wears a Dhoti and Ganji made of cotton. They have their own religious culture like the Hindu culture. They like to be called Hindus. They celebrate religious festivals such as Dashain and Aunshi once a year. They have a dance called Huka-Huki during the Aunshi festival. They make make rope from a plant called sanpat. This is then burned and thrown into the air in memory of their ancestors. They also worship oxen during the Aunshi festival. They prepare a special herb and feed it to the oxen. Thakur (Male) and Barmani (Female) who are representations of Shiva and Parvati, his wife. The third god is Maharaja pua. It is believed that in ancient time when they came to Nepal there was many wild gods. They selected one of them for their protection and began to worship. They have no physical representation for these gods and goddesses. They lack financial means for education. They need education in finances regarding micro projects and savings. There is a need for education regarding health and proper sanitation. There is a great need for evangelization and church planting in their community. Pray to win this community for Jesus Christ. They are not very open to the gospel and they need their own people to be raised up to preach in their own language. Pusak Tajpuria and Ram TajpuriaView Tajpuriya in all countries.